Thousands of islands scattered around the azure blue waters of the Philippine Sea and the South China Sea, eternally warmed by the tropical sun, make up the Philippines. Add to this people from a mix of cultures – Chinese, Malay, Spanish and American – all filled with fun, laughter and a lifestyle of festivals and music and you have an intoxicating and intriguing recipe for enjoyment and relaxation. This extraordinary archipelago is comprised of over 7,000 islands, which are roughly divided into three main areas: Luzon in the north, the Visayas in the centre, and Mindanao in the south. The Visayas is where you’ll find the dreamy island of Boracay and equally lovely Cebu, while Luzon is home to the sprawling capital Manila, the lush green rice fields and fascinating local tribes. 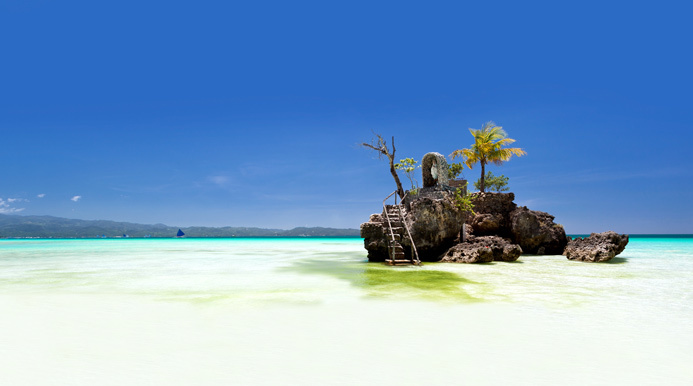 Boracay has frequently been voted amongst the world’s finest beaches and you’ll have no reason to dispute this once you glimpse the island’s dazzling white sands and turquoise waters. 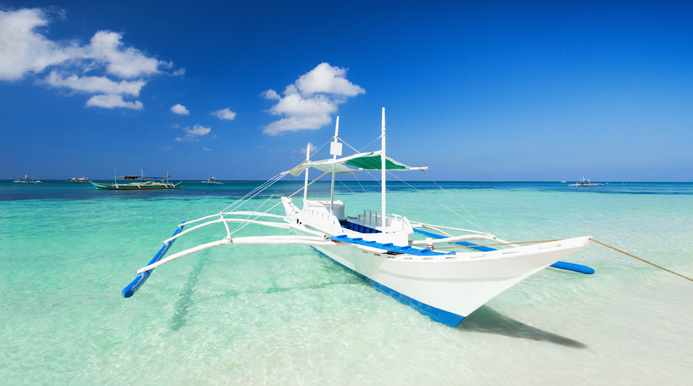 The centrepiece of Boracay is White Beach, where you’ll find a wide variety of bars, restaurants and dive shops, while colourful outrigger boats line the shoreline. Cebu is the country’s oldest city and a large wooden cross, which was planted by Magellan in 1521, remains its most historical landmark. But its best assets are its verdant tropical scenery, local markets, small villages and sparkling white coral sandy beaches, bordered by crystal clear waters. Panglao Island, which is southwest of Bohol and east of Cebu, is celebrated for its stunning coral reefs, dive spots and numerous islets sure to appeal to every sun worshipper. The island is also close to numerous sightseeing attractions including the Chocolate Hills and Tarsier Sanctuary as well as a myriad of falls, springs and caves. Palawan is a tropical paradise nestled in a UNESCO protected marine ecosystem. Home to a variety of islands with pristine beaches, incredible diving destinations, glorious landscapes and breathtaking natural wonders. Explore the coral gardens and you may even see green tutles or gentle sea cows (dugongs) munching on the sea grass. With vast coral reefs all of our Filipino beach resorts are a snorkelling and scuba diving paradise with more than 1,200 marine life species waiting to be discovered, while above the waves all manner of watersports can be found. Away from the idyllic beaches, bold and brassy Manila is a city of contrast where the baroque churches rub shoulders with swinging nightclubs and colourful jeepneys provide an enjoyable mode of transport. In the region of Northern Luzon it’s a very different Philippines to be discovered, with the remote villages and indigenous tribes of Baguio and the 2,000 year old picturesque rice terraces of spectacular Banaue in Ifugao province. 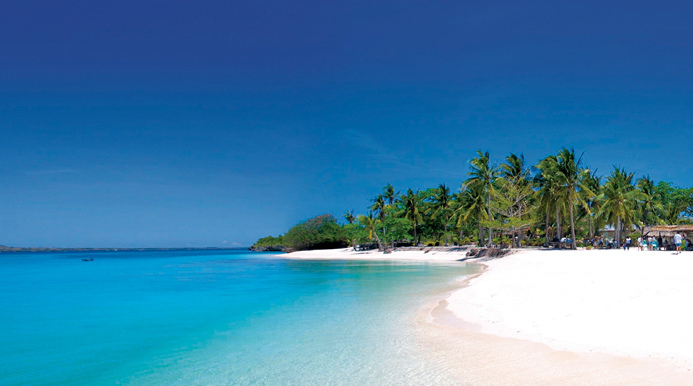 Our vastly experienced travel advisors are passionate about The Philippines. With first-hand knowledge of when and where to go they can create the perfect holiday experience for you, at the best possible price. 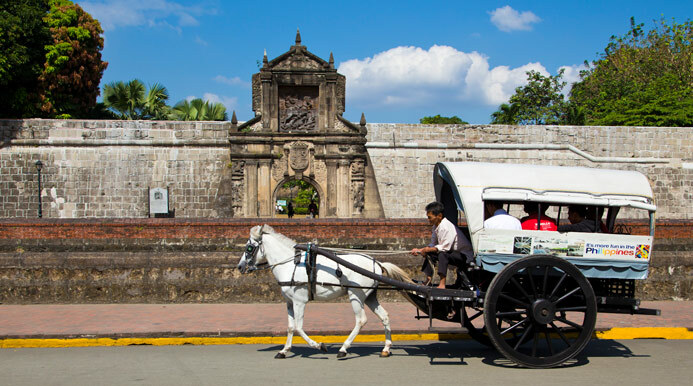 Flight duration: Flights to Manila take approximately 14� hours non-stop from the UK. Cebu is 1� hours from Manila by air, Boracay is an hour by air from Manila or 45 minutes by air from Cebu; Bohol is around 1� hours flying time from Manila; and Palawan is around 1 hour 20 minutes by air from Manila. 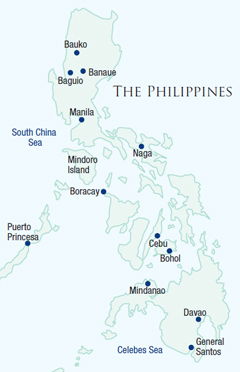 Recommended airlines flying non-stop from the UK to Manila: Philippine Airlines. Recommended airlines that fly indirectly from the UK to The Philippines: Emirates (via Dubai), Etihad Airways (via Abu Dhabi), Malaysia Airlines (via Kuala Lumpur), Qatar Airways (via Doha), Singapore Airlines (via Singapore) or Thai Airways (via Bangkok). Local time: GMT +8 hours. Language: Filipino, but English is widely spoken. Best time to travel: The Philippines has many different micro-climates, but there are two main seasons: the dry season from November to May and the wet season from June to October. Departure tax: 750 Pesos is payable on departure from Cebu.